Here are some reviews I read through this month's Nightstand posts and which I wanted to note down as being particularly interesting. If any of you have any experience with any of these reads, let me know! 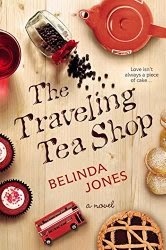 The Traveling Tea Shop by Belinda Jones. Reviewed by Nancy at 5 Minutes for Books. 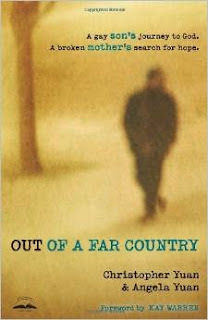 Out of a Far Country, by Christopher Yuan and Angela Yuan. Reviewed by Barbara at Stray Thoughts. Penrod, by Booth Tarkington. Mentioned/small review by Beth at Weavings. 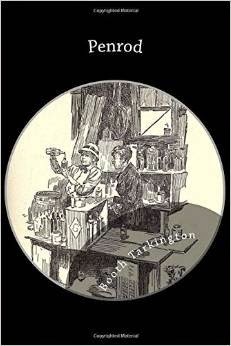 Sounds like a fantastic read-aloud and free on Kindle! 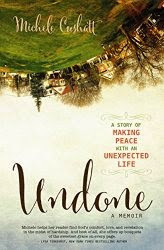 Undone, by Michele Cushatt. Reviewed by Amy at Hope is the Word. What about you all? Have you marked down a book recently off of another's Nightstand post? If so, what title struck your fancy? I do so love the Nightstand meme! Thanks to 5 Minutes for Books for faithfully hosting it for us! I added Being Mortal to my list after seeing it reviewed at Lisa Notes and Joyful Reader. I hadn't heard of any of these except the Yuan's book - I just saw the Penrod one at Beth's nightstand post but wasn't inclined to add it. Will look forward to seeing what you think of it.